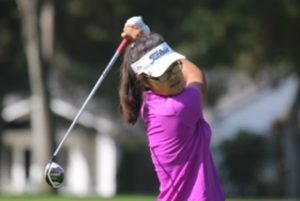 13 year old, Rose Zhang, won her second AJGA event in 2016, with a wire to wire win at the AJGA / CJGT at Yorba Linda (Yorba Linda Country Club, Yorba Linda, CA). 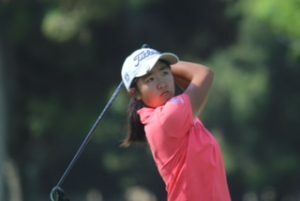 Rose shot 68-71-70 (209) to finish 3 shot’s ahead of hard charging Eunice Kim, from Benowa, Australia. Kim, shot 72-68-72 (212). Rose, opened the event with an even par 35 on her front nine before lighting up the back nine by going birdie, eagle, birdie on 13,14 and 15. 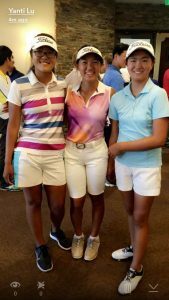 The talented number 1, ranked 13 year old made her only mistake on the par 5, 18th hole when she made a bogey to drop from -4 to -3. Crystal Wang, finished 10th with her score of 71-74-75 (220). Crystal, was not pleased with her play this week but she had strong finishes on her back nine in each round. CW, as her coach call’s her, shot a total of 8 over par in her 3 round’s on the front 9, while she shot -1 on the back nine. Kat Muzi, finished in 11th place with 75-75-73 (223). 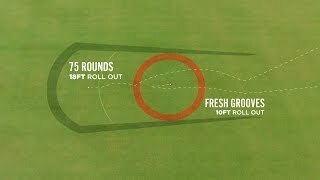 Kat struggled with her driver this week and made a good decision to go with her 3 wood on many of her tee shot’s. In her final 9 hole’s of the event, she finished strong by going 3 under par on 8 thru 18. 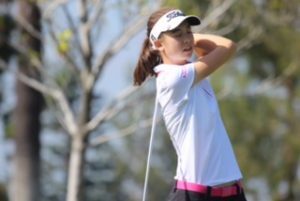 Kat will be playing the USGA Girl’s Junior Championship, next week in New Jersey. Keisha Lugito, who was a late addition to the event, shot 84-77-79 (240) finished in 24th place.